What is Sleep Apnea Doing to Your Sleep? In 2001 my father fell asleep at the wheel on two separate occasions. Both times his life was saved by alert passengers who recognized the danger of the situation and immediately woke him from his microsleep. This experience was a wake-up call for my father, an extremely loud and chronic snorer. He checked into a sleep clinic shortly afterwards and his sleep was monitored throughout the night. His diagnosis: severe obstructive sleep apnea. Upon hearing this, my entire family had to ask, "What is sleep apnea?" Sleep apnea is an unrecognized killer, but it is hiding in plain sight. Every night more than 50 million Americans stop breathing. In a stunning evolutionary failure, nature endowed us with throats that tend to collapse during sleep and block air flow but did not endow our sleeping brains with the ability to start breathing without waking up. 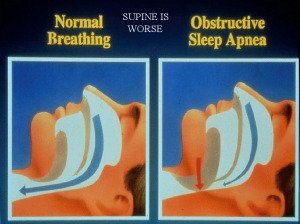 Obstructive sleep apnea (OSA) is a condition that affects one's ability to breathe while asleep and is, as more and more people are discovering daily, alarmingly common. While statistics are hard to put an exact finger on, varying considerably based on the criteria used, peer-reviewed studies have found sleep-disordered breathing that meets the criterion for sleep apnea syndrome to be present in 24% of adult men and 9% of adult women (Young et al. 1993). During sleep, an obstructive sleep apnea victim's airway closes, causing him or her to stop breathing until he or she awakens for a second or two to take a breath. These numbers are simply breathtaking (pun possibly intented here ;). But in all seriousness, think about this. Sleep apnea affects quite a large amount of the population, and, as you will see, is not to be taken lightly in terms of what it can do to you. And yet many people still don't know what sleep apnea is. Taking the time to read this page will put you in a great position to help someone in the future (and quite literally save or extend their life). As the statistics indicate, you are likely to know quite a few people who develop obstructive sleep apnea. The word "apnea" simply means the absence of breathing. To have sleep apnea thus means to stop breathing during sleep. Well, that doesn't sound good. At all. Share your thoughts on sleep apnea with us! The official definition of a sleep apnea episode that is accepted by sleep specialists is a cessation of airflow at the nose and mouth lasting more than ten seconds despite efforts to breathe (Dement 335). The episodes are often terminated by an abrupt awakening, short enough not to be remembered by the sleeper, but present enough to really compromise the quality of his or her sleep. In severe cases, the sleeper can wake up hundreds of times in a single night. There are actually 3 different kinds of sleep apneas, the obstructive variety being by far the most common. Diagnosed by a polysomnographic sleep test that includes the monitoring of airflow, sleep apnea is ranked in terms of its severity based on the number of sleep apnea episodes experienced per hour. Though the number of episodes varies night to night, the minimum number to receive a diagnosis of obstructive sleep apnea is 5 episodes per hour. This means that a person with even the mildest form of obstructive sleep apnea is waking every 12 minutes throughout the night! These constant, brief interruptions of sleep are rarely recalled by their victims. Their body wakes up for a split second in order to take a breath and restore oxygen, then falls right back to sleep with no time for the brain to remember the awakening. The result is an individual waking up thinking they obtained good, continuous sleep when in reality they woke up dozens, if not hundreds of times. Despite eluding memory, these episodes have incredibly detrimental consequences. As you can imagine, not breathing for long enough while asleep has the potential to bring down an individual's blood oxygen levels. Consistently struggling to breathe like this for long enough can cause a number of complications, including high blood pressure, diabetes, acid reflux, cardiac arrhythmias, stroke, and heart failure (Caples et. al.). The constant interruption of sleep also makes it difficult for the victim to obtain sleep that is restful and rejuvenating. Obstructive sleep apnea patients often accumulate large amounts of sleep deprivation because of constantly having to wake up throughout the night to breathe. This makes it difficult to get into REM or deep sleep. The result is the individual feeling persistently tired throughout the day, often apathetic or depressed, despite the fact that they think they should have slept long enough (because they can't remember awakening at all). But no matter how long you sleep, if you're having to wake up constantly to breathe you are not going to feel well rested once you wake up. Loud snoring is THE cardinal sign that something is wrong. No matter how normalized we are to snoring taking place (in us, in our loved ones, in general), snoring is never a normal thing for the body to do. Snoring is a struggle to breathe, and as you can imagine struggling to breathe each and every night puts a large strain on one's body. The characteristic snoring pattern for OSA is a series of loud snores interrupted by a sudden silence that signals complete obstruction and inability to breathe. During the apnea, the victim's respiratory efforts increase steadily until finally, there is an interruption of sleep and the obstruction is broken, often with a loud choking, gasping, inspiratory snort (Dement). This process is repeated throughout the night, with the effect of severely disturbing the bed-partner as well the victim. 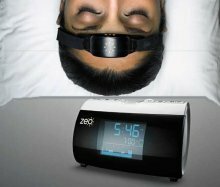 According to a recent study at the Mayo Clinic in Rochester, Minnesota, the bed-partner of a sleep apnea patient has sleep as disturbed, fragmented and inefficient as an insomniac. This is referred to as "spousal arousal syndrome" and it indicates that obstructive sleep apnea is significantly detrimental to the victim as well as their loved-ones. It can be said then that if you have a bed partner and seek treatment as outlined below, you are essentially getting two for the price of one. The second cardinal sign that a victim is suffering from sleep apnea is excessive daytime sleepiness. If loud snoring is coupled with persistent tiredness or low alertness throughout the day, the symptoms must not be ignored and the individual should contact a sleep physician immediately. If this sounds like you, don't put off seeking treatment. Does this sound like you? Let us know what you think. SleepQuest is a quickly growing company offering diagnostic tests you can take from the comfort of your own home. If the above sounds like you, they are definitely worth checking out so you can get treated. Start learning about SleepQuest from our interview with founder and CEO Robert Koenigsberg here. Fortunately, there are viable options for treating obstructive sleep apnea. The CPAP machine creates a positive pressure in the sleeper's airway to help him or her breathe at night. Because it often helps the bed partner sleep more soundly too, you can say a CPAP is essentially a two-for-one deal! The most effective and popular treatment is the CPAP machine, a nasal mask that provides continuous positive airway pressure (what CPAP stands for) to prevent the airway from collapsing during inspiration so that unobstructed breathing can occur. 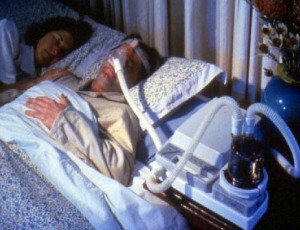 It's a common misconception that CPAP machines actually pump oxygen into you; instead it's more that they create the right pressure to keep your breathing tube open. When utilized on a nightly basis, this relatively inexpensive treatment is extremely effective at reversing OSA episodes and the accompanying daytime symptoms. Other treatments include surgeries, radio frequency reduction of tissue volume and dental appliances (Dement 350). These treatments all seek to increase the size of the airway and ease the effort to inhale air. Treating obstructive sleep apnea can restore a victim's quality of life, reduce the risk of motor vehicle accidents, decrease the risk of developing cardiovascular disease, and provide relief for the behavioral and psychological symptoms of OSA. It can prevent countless injuries and deaths, increase productivity in the workplace and the classroom, and can significantly improve a victim's mood and energy level. How is it possible then that only one out of twenty people with obstructive sleep apnea receive treatment (Streich)? There is an incredible lack of knowledge among the general population about sleep disorders. This is due in large part to a failure of the educational system and medical professionals to address the importance of sleep and sleep disorders. It is estimated that only about one out of ten people with obstructive sleep apnea are ever diagnosed. The other 90% live their lives in a state of persistent drowsiness and fatigue, placing their lives and health in incredible danger. My father's near accidents served as an extreme wake-up call for my entire family. By recognizing a problem and asking his doctor "What is sleep apnea?" we learned that his daily fatigue and loud snoring were actually symptoms of a very serious illness that could be effectively and easily treated. 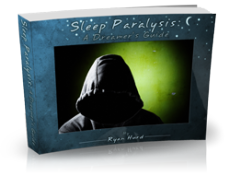 Only with increased awareness and sleep education will this chronic illness be diagnosed and treated with regularity, so that victims can once again sleep easy and breathe softly at night. A student-made outreach project for Stanford Sleep and Dreams, "Fool's Dream" follows Scrooge in his struggle to come to terms with the dangers of having sleep apnea and not getting treated. Watch and see why sleep apnea treatment is so important as Scrooge is shown his past, present, and future by the Ghosts of Sleep Apnea in a story modeled after Dickens' "A Christmas Carol." Fool's Dream - Based On Dickens' "A Christmas Carol"
Starring Robert Hintz, Santiago Ibarra, Cassie Montoya, Peter Abraham, James Mannion, and Tatum Sohlberg. What Does Sleep Apnea Mean To You? Are you affected by sleep apnea in some way in your life? Do you or a loved one suffer from it? Do you have questions about why it happens or how to treat it? Share your thoughts, questions, or stories with us below--your insight could aid others who can relate to what you have experienced or can find answers in your questions. Click on the links below to read the stories and questions of others about obstructive sleep apnea. They were all written by other visitors to this page, just like you. You Do NOT Have To Snore Or Be Overweight To Have Sleep Apnea! Not all people with sleep apnea snore! Worried About My Husband's Loud Snoring/Stops Breathing!! 13-Year-Old Teenager With Sleep Apnea? Could My 13 Year Old Son Have Sleep Apnea? More Apneas With CPAP Than When Sleeping On Side - What Should I Do? Young, et al. "The Occurrence of Sleep-Disordered Breathing among Middle-Aged Adults." Caples, Sean, Apoor Gami, and Virend Somers. "Obstructive Sleep Apnea." Focus 3 (2005): 557-67. Web. Streich, Elizabeth. "Sleep Apnea Impairs Blood Vessel Function in Obesity". Check it out at http://insciences.org/article.php?article_id=8757. For more information about treating sleep apnea, you can check out Snoring-Solutions-That-Work.com. Regardless of if you have sleep apnea or not, if your snoring disturbs your sleep or that of your bed partner, empower yourself with a number of ways to alleviate it with their Snoring Treatments article.